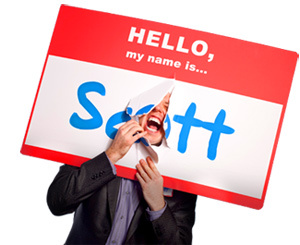 Let the City Crumble, But Come Home Together - HELLO, my name is Scott! Every relationship I ever ruined suffered from the same dysfunction. We got lazy with each other. Somewhere down the line, we no longer bothered to bother. We no longer took a minute to make a moment. Caring became a chore, and complacency became the norm. No wonder those relationships never worked out. But not this time. Since then, we’ve adopted a new mantra. Something my dad said that echoed in my heart forever. Let the city crumble, but come home together. 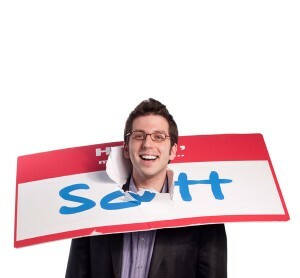 I kind of knew what he meant at the time, but it took a while for the idea to truly settle in. Now that we’ve relocated to New York, what we’re starting to realize is that the city isn’t just a pile of buildings. The city is anything worth blowing up for love. The city is anything competing for shelf space in our hearts. The city is anything in our lives that, without love, doesn’t matter. Career. Wealth. Ego. Pride. Whatever. Let it go, let it crumble and let love take over every square inch of our lives. LET ME ASK YA THIS… Who is your valentine? LET ME SUGGEST THIS… Go hug that person.